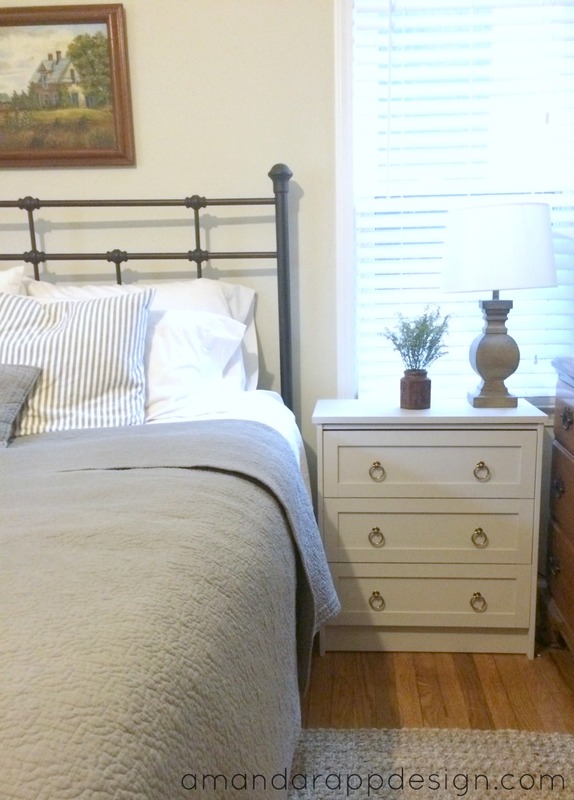 I knew I wanted something a little different for our new bedroom and when I saw this DIY, I knew it was just was I was looking for. I added some trim around each drawer front, added a new larger solid wood top and then painted it all. 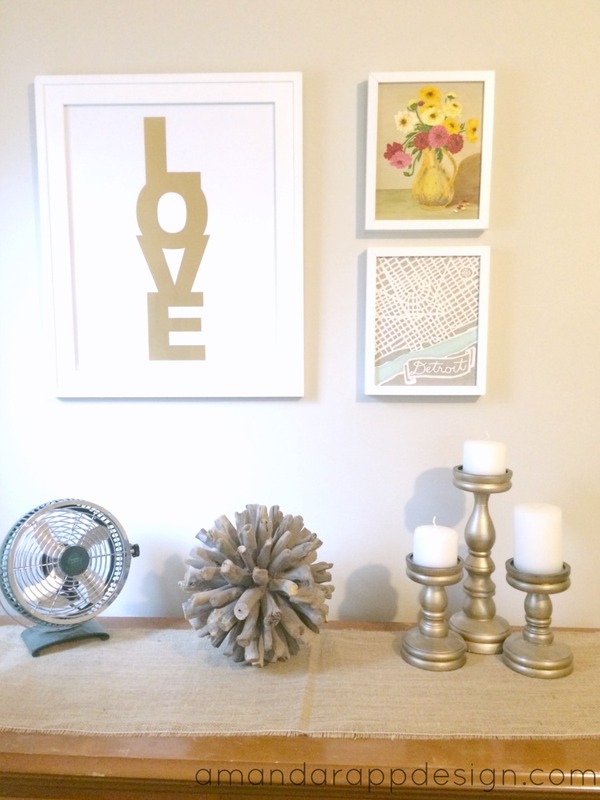 I used Americana Decor chalk paint in Primitive from the Home Depot. They only had the small pots and I used about 1.5 of the small pots for 2 nightstands. 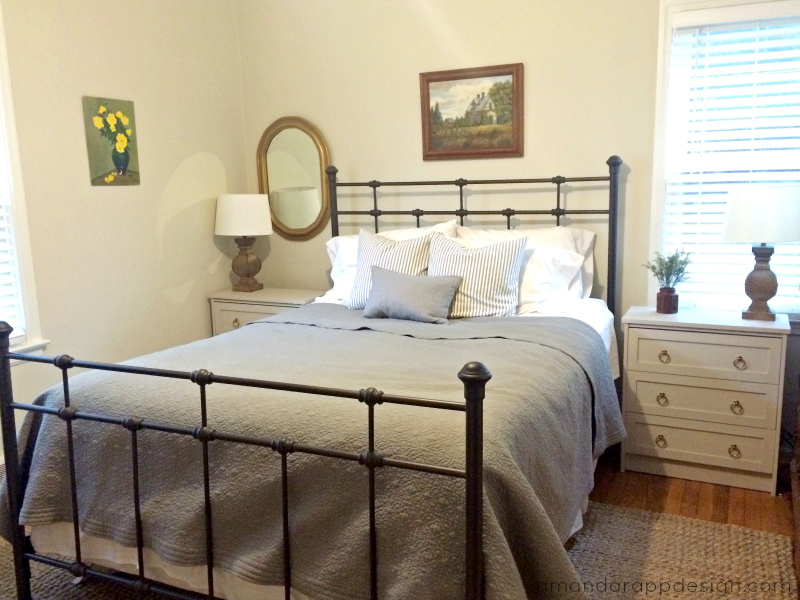 The wall color is Benjamin Moore Edgecomb Gray. It's a very clean, classic, calm color - I love it! Amanda, love your pretty bedroom! The bed is gorgeous!!! I like your rast hack! It looks great! What are measurements of the top piece of wood and the trim? And where did you get both? Thanks!